Eva is the Latinate form of Eve, a Hebrew name translated as “breath, life”. Eve is famous as the first woman in the Bible, and the companion of the first man, Adam. She shared Adam’s fate of being cast out of the Garden of Eden, and is regarded in the Bible as the mother of all humanity. Apart from the biblical figure, there is also a saint named Blessed Eva of Liege, a medieval holy recluse. Eva is the most usual form of the name Eve in many countries around the world, and in Ireland and Scotland, can be used to Anglicise the Irish name Aoife, meaning “beauty”. In Australia, Eva has historically been often used by European immigrants, particularly amongst Catholics and Jews. This gives it considerable scope as a potential heritage choice. Amongst English-speakers, the name received a boost of popularity in the 19th century after the publication of Harriet Beecher Stowe’s 1852 anti-slavery novel, Uncle Tom’s Cabin. In the book, Evangeline St. Clare, or “Little Eva” is an angelic little girl who inspires love in even the most heart-hardened, and in her final throes, converts all the slaves to Christianity with some locks of her hair. It is the pure goodness of Little Eva which changes the lives of all around her. Uncle Tom’s Cabin created a wave of pro-slavery novels to combat its views, and one of them was Little Eva: the Flower of the South, in 1853. Quick to cash in on the Little Eva phenomenon, it features yet another angelic little girl called Little Eva, equally loving and lacking in prejudice – only in this book, Eva is so kind-hearted that when the slaves are set free, they elect to remain with her of their own free will. This idealistic dream of voluntary slavery never came to pass on a large scale. A real life Little Eva was the 1960s pop singer, born Eva Narcissus Boyd. She didn’t receive her moniker from either of these literary characters, but was called Little Eva by her family to distinguish her from her aunt, also named Eva. 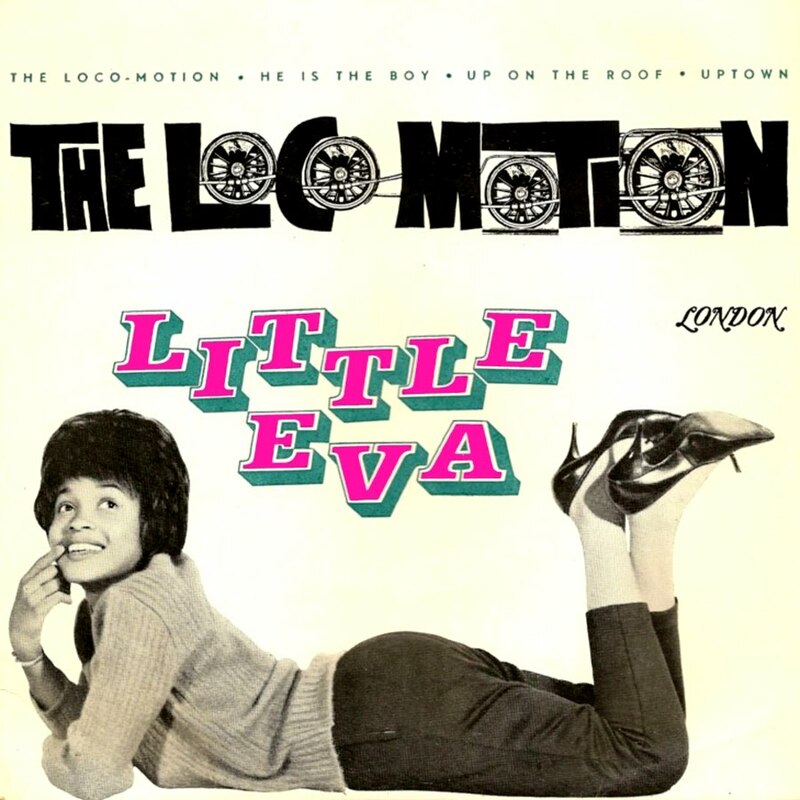 Little Eva is most famous for singing The Locomotion, later covered by Australian pop star Kylie Minogue. Little Eva apparently wasn’t too impressed by Kylie’s version. Another Australian connection to Little Eva comes from World War II, when an American Air Force plane named the Little Eva got lost and crashed after a bombing mission in an isolated region of the Gulf of Carpentaria in Queensland. What happened to the survivors of the crash, and their desperate struggle against the dangers of the Australian outback, was made into a documentary called Aeroplane Dance, and is being developed into a feature film scheduled for release this year. Eva is a classic name in Australia which has never left the charts. It was #37 in the 1900s, sinking until it left the Top 100 in the 1930s. It reached its lowest point in the 1980s at #425, then rose steeply during the 1990s to make the Top 100 for the late 2000s. Currently it is #24 nationally, #26 in New South Wales, #30 in Victoria, #31 in Queensland, #66 in Tasmania, and #27 in the Australian Capital Territory. Eva is a very international name, being popular in all English-speaking countries, and all over Europe, including Eastern Europe and Scandinavia. It is most popular in Slovenia, at #2, and its popularity in Britain and New Zealand is almost identical to that in Australia. Eva’s position in the Top 100 is stable, and it is now at its highest level of popularity ever. This makes it a Contemporary Classic – a traditional classic name which manages to feel modern and up-to-date. Because it is still rising, albeit gradually, it is also an Up and Coming Classic, so that it still seems rather fresh and stylish. This all helps to make Eva an attractive choice. Furthermore, it fits in with the trend for short names ending in -a, such as Isla and Ella, and the V names, such as Ava, Ivy, Evie and Evelyn. This means that while Eva doesn’t stand out amongst its peers, neither does it sound particularly distinctive. However, for those who care about such things, Eva has the advantage of being a classic, unlike Isla, Ella, Ava, Ivy and Evie, and also began rising before them, so that it cannot be accused of being a copycat. Eva is closest to the name Evelyn, which is also a classic that began rising in the 1990s – although Evelyn has yet to reach the popularity it enjoyed in the 1900s. Eva is a beautiful classic name that is feminine without being frilly. Eva sounds intelligent as well as pretty, and it’s a name which ages well. It is easy to spell and pronounce, and is popular without being either extremely common or faddish. That makes it a baby name which might tick a lot of boxes on many people’s lists. The usual nicknames are Eve or Evie, but it is so short and simple that it doesn’t really need a nickname. Eva received an excellent approval rating of 83%, making it one of the highest-rated names of 2014. People saw the name Eva as a stylish classic (23%), feminine yet not frilly (19%), beautiful or pretty (18%), and easy to spell and pronounce (17%). However, 6% thought it was too popular. Nobody thought the name Eva sounded too much like the word evil. I do like Eva but I have to comment to say that I much prefer the beautiful Eve. I also once worked with a woman name Ewa which I think was the Polish version. We’ll probably have Eve next year.